SUPERIOR QUALITY - This product is 100% Benzoyl Peroxide FREE. Moreover, all Retseliney products are made from the purest form of natural and organic ingredients and do not contain Synthetic Dyes, Parabens, Phthalates, Alcohol, Fragrances, GMO's, Petrochemicals or Sulfates. 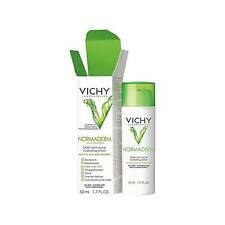 Vichy Normaderm Beautifying Anti-Blemish Care 5ml. Wrinkles reduced, firmer skin, smoother skin, plumper skin and healthier skin. GUERLAIN Stop Spot - Anti-Blemish Treatment 15ml Women. Intense serum with local action on inflammatory lesions of acne or on occasional pimples. Reduces inflammation, regulates sebum secretion, inhibits bacterial growth and accelerates healing (stimulates skin regeneration). By exfoliating, helping to remove these dead cells from the skin pores and prevent their storage. All skin types need periodically by a gentle exfoliation. Mixed or oily skin, especially given the excess production of sebum and the pore dilation needs exfoliation. 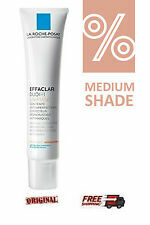 SKIN TONE BRIGHTENING NOISTURIZER SPF 20. F/s 50ml / 1.7oz. NORMAL TO DRY SKIN. NEW IN BOX. Size : (0.3oz, 9ml)X 2. (0.3oz, 9ml)X 2. BATH & BODY CARE. SPECIAL CARE. (Especially during festive seasons like Easter or Christmas). HOW TO USE. More Detail >. Developed by the BIODERMA advanced research laboratories, Sébium AKN. Sébium AKN. Apply Sébium AKN on your skin after cleansing. Sebo-regulating and purifying zinc gluconate curbs excess seb. BIOLOGICAL MODE OF ACTION. Manufacturer: Guerlain. Stop Spot Anti-imperfections face cream - Guerlain. Guerlain - Stop Spot Anti-imperfections face cream - 865-12242. Do not hesitate and buy it now! Stop Spot Anti-imperfections face cream - 865-12242. Size : 0.5oz, 15ml. 0.5oz, 15ml. After 4 weeks : for 87%, the imperfections are resorbed; for 81%, the skin is healthy. In use test, 34 persons. BEST VALUE/OUTLET. (Especially during festive seasons like Easter or Christmas). Size : 0.3oz, 9ml. 0.3oz, 9ml. A transparent gel for direct application to blemish-prone skin. After using it, skin feels cooled and pacified. BATH & BODY CARE. SPECIAL CARE. How to use (Especially during festive seasons like Easter or Christmas).